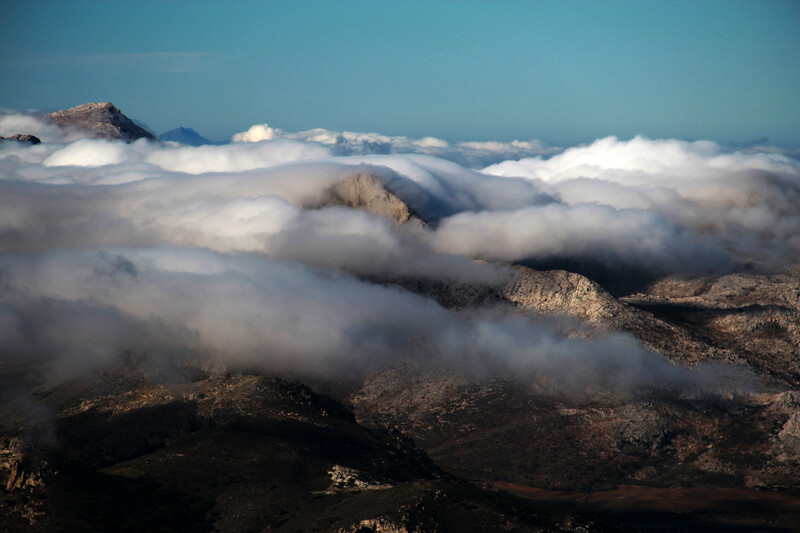 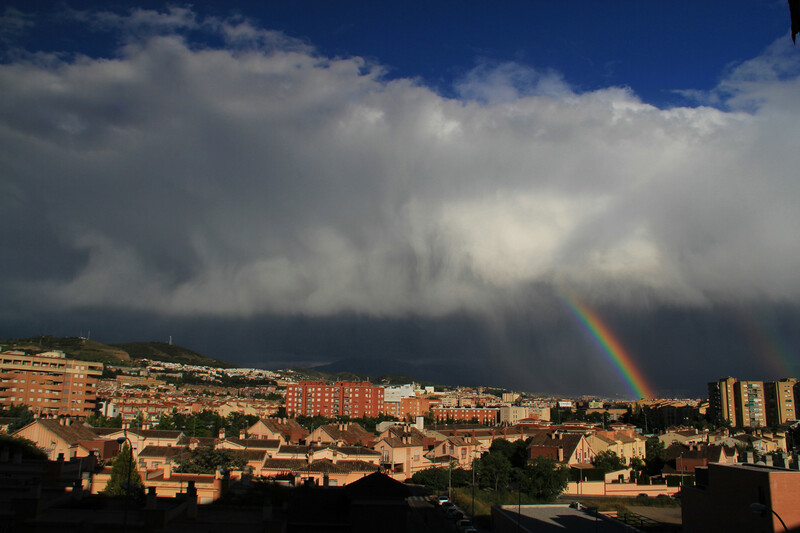 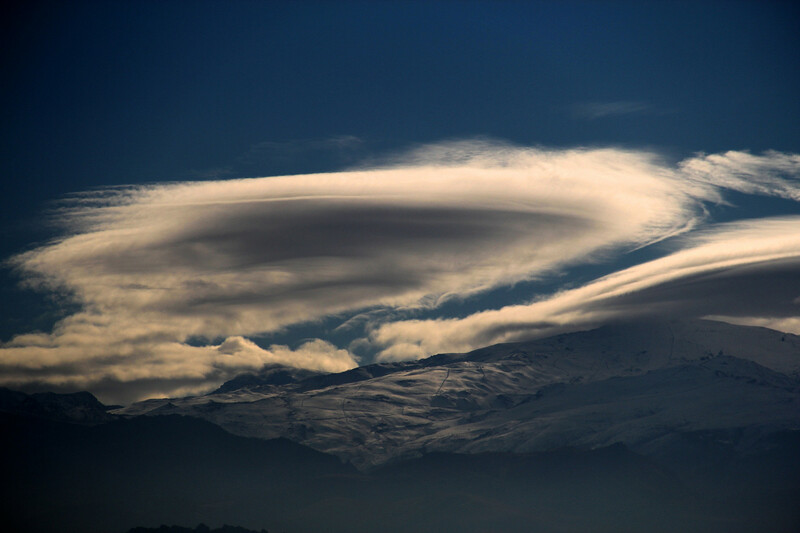 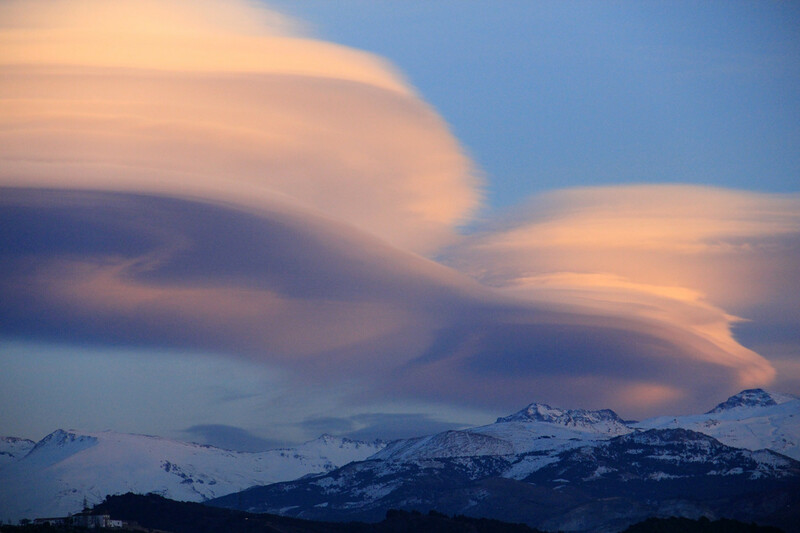 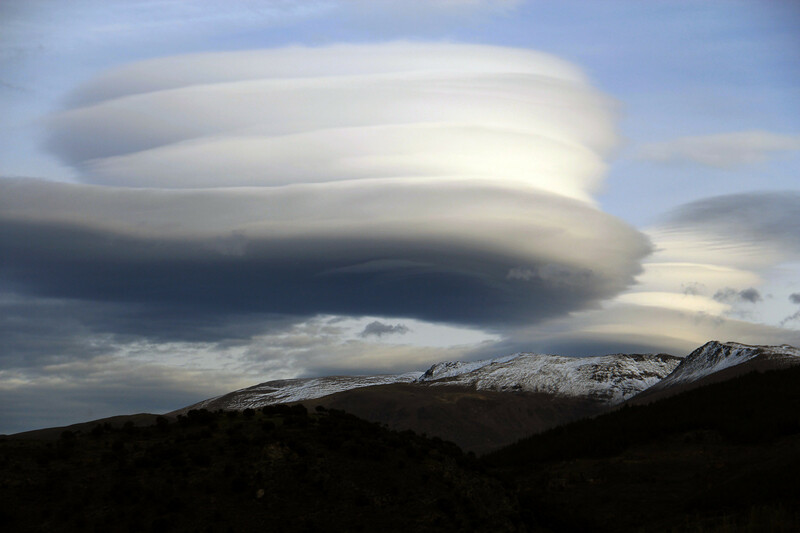 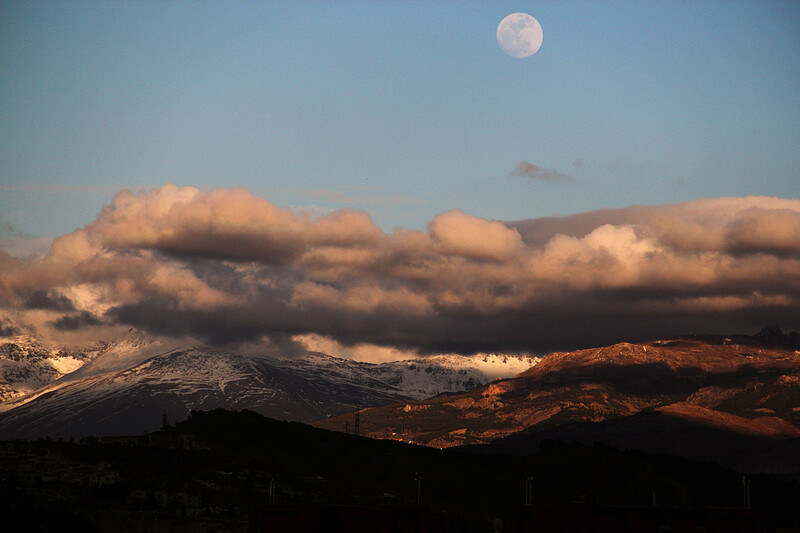 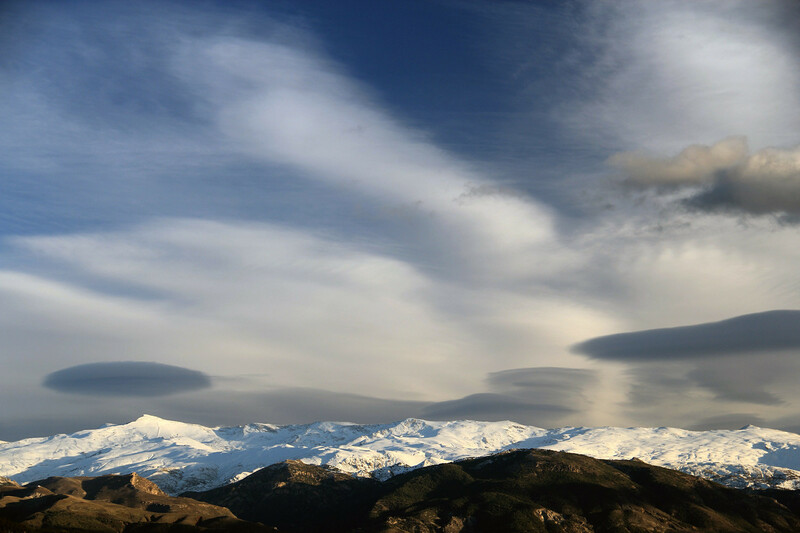 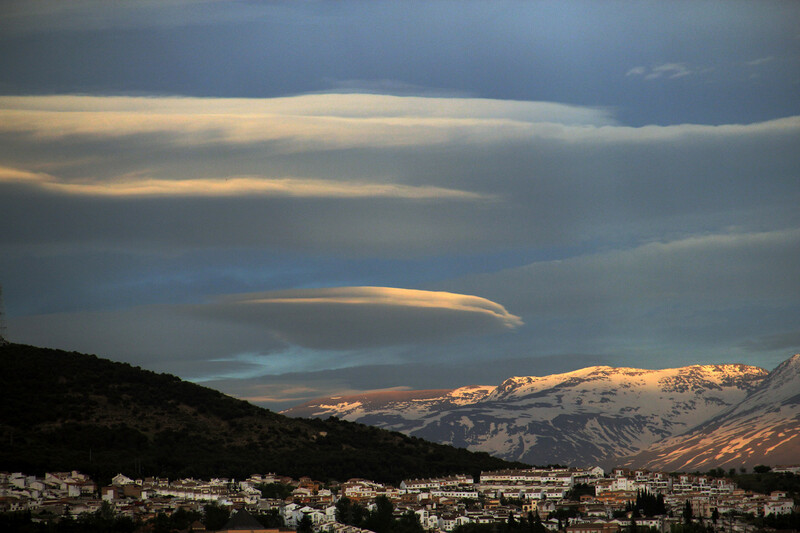 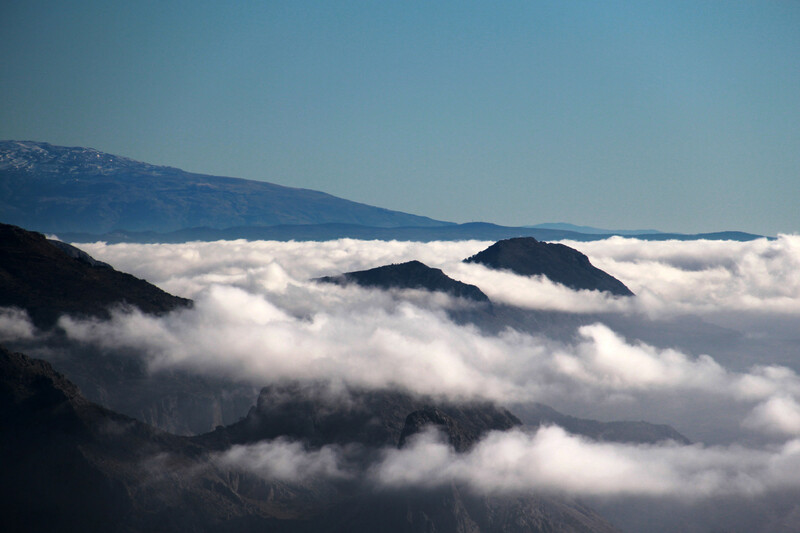 The difference in high and low pressure and the mountains of Sierra Nevada are causing sometimes spectacular forms of clouds. 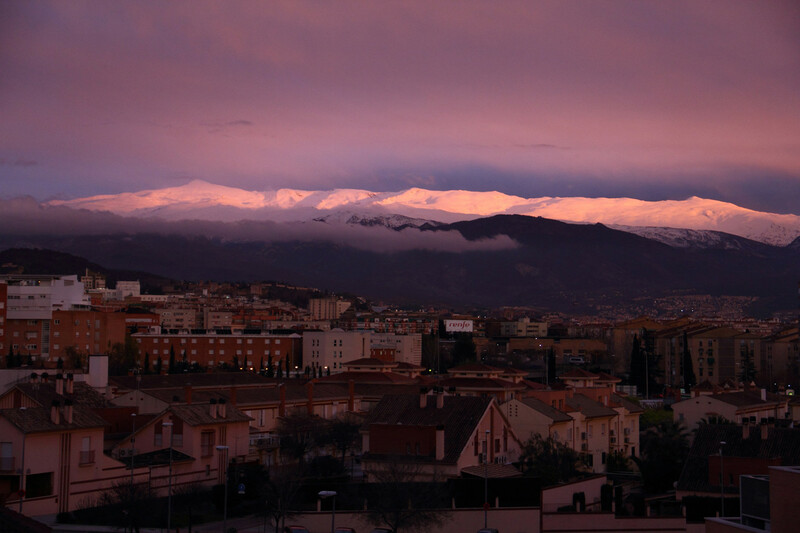 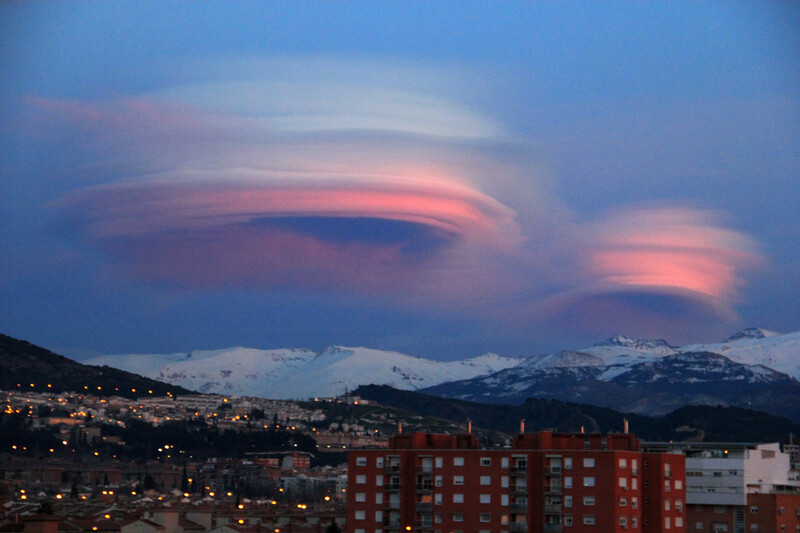 It looks like an invasion of UFO´s. 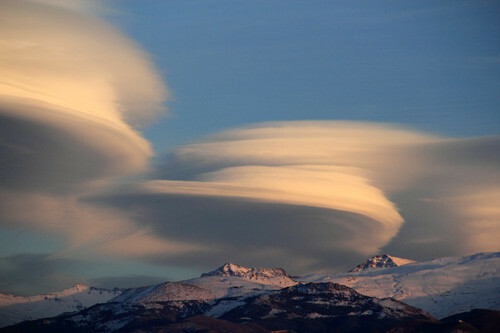 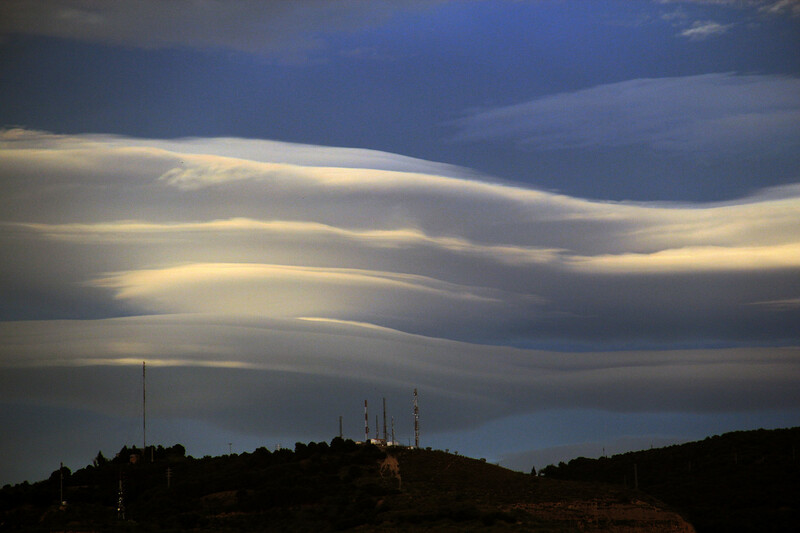 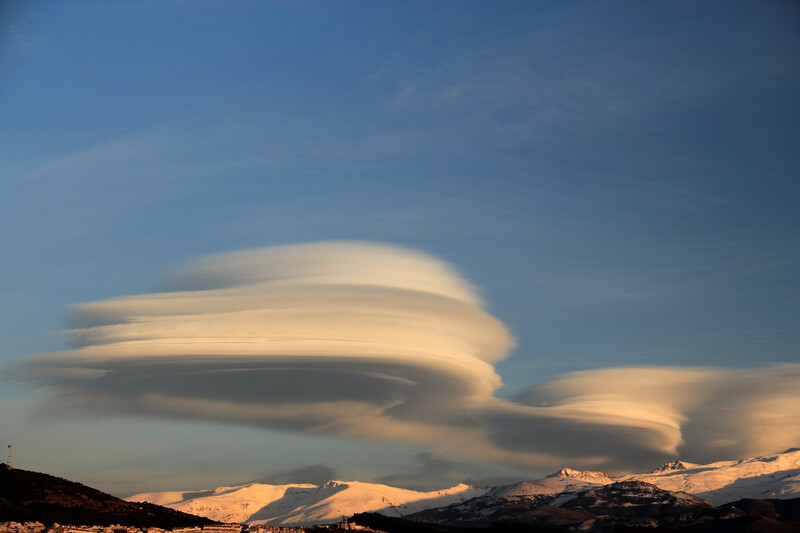 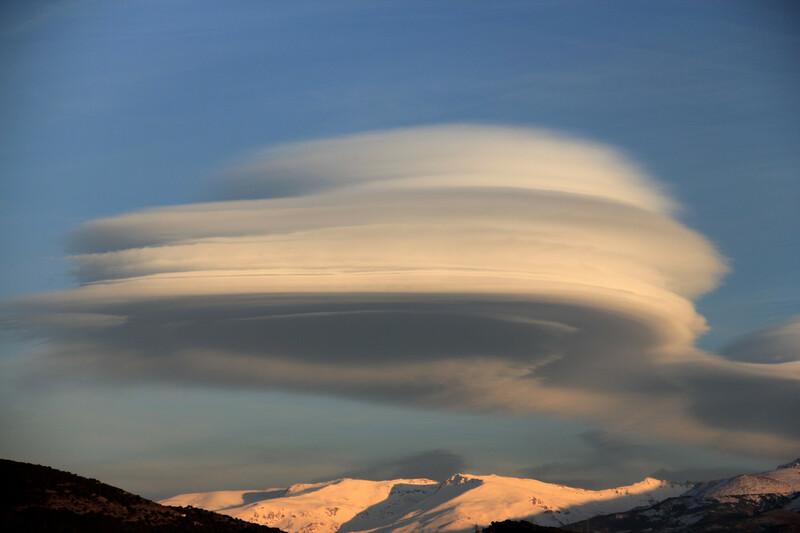 These clouds are named lenticulars.